KARACHI: Police on Friday said that based on initial investigation, the cause of death of Pakistan People’s Party Minister Mir Hazar Khan Bijarani who was found shot dead in his house along with his wife on Thursday appears to be a suicide. 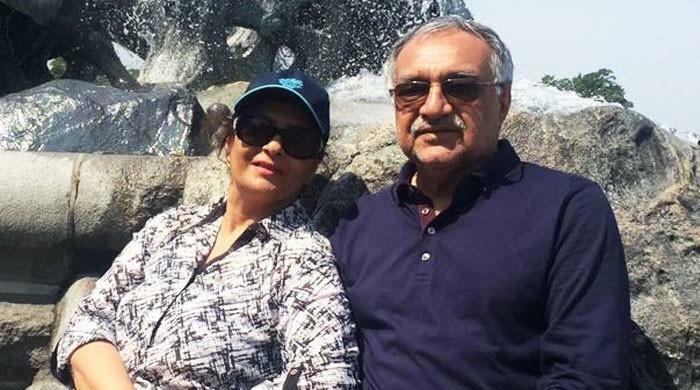 The senior politician first killed his wife, former MPA and long-time media professional Fareeha Razzaq, and then used the same weapon to commit suicide, said a press release issued by the deputy inspector general police, South Zone Karachi, on Friday. “On the basis of the available crime scene/circumstantial evidence and initial post-mortem report, it appears that Mir Hazar Khan Bijarani killed his wife and then committed suicide with the same weapon,” read the press release, adding all the empty bullet casings found at the crime scene were fired from the same weapon. According to the press release, the police received a call at 2:30 pm on Thursday informing them that the bodies of Bijarani and his wife had been found on the first floor of their house. Police officials had then rushed to the crime scene, where they found Fareeha Razzaq’s body lying on the floor near the entrance to the study, located adjacent to the bedroom, the statement said, while Bijarani’s body was found on a couch in the same room. “Relevant evidence”? blood samples, bullet empties, fingerprints ? was also collected from the scene. Six individuals interviewed by the police? including two police guards and four domestic servants? revealed that an altercation was ongoing between Bijarani and his wife over the past few days, said the police. The house was locked from the inside and the door was forcibly opened by Bijarani’s son and servants. Meanwhile, the funeral prayers of Mir Hazar Khan Bijarani were offered on Friday in his ancestral village in Kurrampur, Kashmore. Sindh Chief Minister Murad Ali Shah, other senior leaders of the Pakistan Peoples Party and thousands of people have attended the funeral prayers. The prayers were led by Maulana Wazir Ali Jatoi at the Grid Station Ground. A public holiday was declared in Jacobabad and Kandkot today in light of the funeral. The funeral prayers of Fareeha Razzak were offered in Karachi. This is an initial report and guess of circumstances resulting to deaths. Like most people say, Mr Bijraani was a humble man and had exchanged hot words with wife, shot his wife and then committed suicide. A lot could come out with investigation – like his differences with PPP leadership etc.